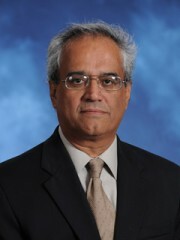 Dr. Shariat-Madar is a biomedical scientist whose research has focused on the physiological role of plasma kallikrein kinin system (KKS), including application to human health and disease. We have been a major laboratory in the study of prolylcarboxypeptidase (PRCP), KKS activator, at the molecular, protein, cellular, and animal level. We aim to examine PRCP-induced KKS activation and its related function to better characterize its physiologic influence, such as blood pressure regulation, inflammation, and the metabolic syndrome. We are interested in an integration of the basic biochemistry of KKS with cell physiology which generates and maintains the local hyperacidity surrounding tumor and inflammatory cells.